I am a major fan of collaborations, of any kind that is! My favorite types are the ones of completely different fields; it’s just amazing how creativity has no limits. I can’t wait to get my hands on one of these coffee mugs. Starbucks has collaborated with Los Angeles based fashion brand “Band of Outsiders” – which is best described as a ‘modern classic’ garments brand. 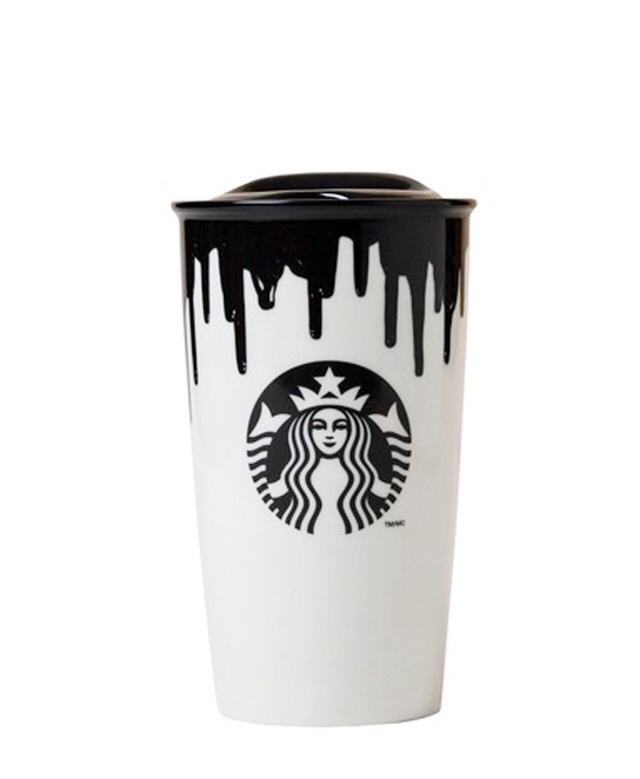 The Starbucks collaboration consists of 2 ceramic mugs that are leaking paint from the surface; just as if your coffee was spilling over! They come in two colors, black and multicolored and are only available in the US or Canada. Can’t wait to drink my morning coffee with a side of drip. this makes your starbucks coffee looks more yummi !